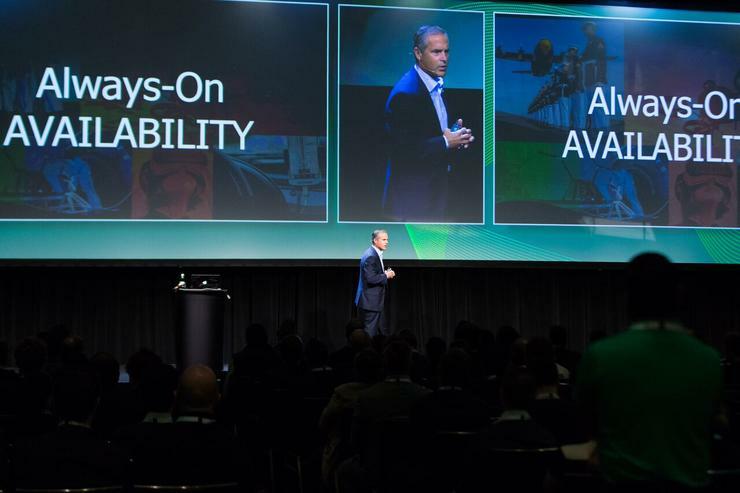 VeeamON Forum attendees were given the chance to learn from industry leaders, participate in breakout sessions, technical speaking sessions and hear from global Veeam speakers. The ANZ Region’s Premier Availability event took place in Sydney and Auckland last month, where a crowd of nearly 800 people across both markets gathered to network with thought leaders and IT professionals to discuss the latest trends in data centre modernisation using virtualisation, storage and cloud technologies. The conference comprised of all the best content, insights and speakers from the global VeeamON event that occurred in May in New Orleans. VeeamON Forum attendees were given the chance to learn from industry leaders, participate in breakout sessions, technical speaking sessions and hear from global Veeam speakers. Company Co-CEO and President, Peter McKay made an appearance at the event, all the way from the US and local alliance partner sponsors took stage for the business and technical speaking sessions. Keynote speaker, Adam Fraser took the stage too, chatting about the significance of disrupting the status quo and staying ahead of innovation in this rapidly changing world. Veeam is dedicated to enabling its ecosystem of ProPartners and Veeam Cloud and Service Provider partners (VCSPs) to help customers by providing a range of solutions to fit whatever cloud environment they may be operating in – our partners success is our success. VeeamON Forum 2017 afforded us the opportunity to unveil the slew of new offerings and programs to drive even greater partner services revenue and engagement and we can’t wait for next year! And, for those of you who weren’t able to join us in Sydney or Auckland – we’re bringing VeeamON Tour to you – in Adelaide, Melbourne and Perth. Register now to attend!